This semester, I’m teaching a grad class of my design. And there are two distinct differences from teaching an undergraduate class: 1) it’s a free-for-all on material and 2) I find that I’m much more lackadaisical about grad classes. I’ll expound on those thoughts, reverse chronologically because it makes more sense that way. Lackadaisical Approach – I think there are a few reasons for this. First, this course is much more in my wheelhouse so I feel comfortable teaching some of the topics with minimal prep. For instance, there’s a few lectures that will come directly from research topics towards the end of the semester. Those I’m confident that I know without checking, double checking, and triple checking. Second, I don’t know about the rest of my colleagues but I didn’t get too much out of grad classes. I found them to be more of a waste of time than anything else. Now, I’m hugely biased because I did a thesis masters and for my PhD, I was in Europe where there are no required classes. I understand that I’m lacking some of the mathematical background and fundamentals on some topics, but at the same time, I think I was able to produce much more research results because I wasn’t burdened by classes. And probably because of this bias, I also don’t think too highly of a coursework masters but I’ll save that topic for a later date. The third, and I think most important reason for my approach, is that graduate students are generally looking for course topics to fit within the context of their research. I have students from 5 different engineering disciplines in my class. It’s going to be very hard for me to present, for instance, bio-medical solutions to some problems. Rather, I feel the point of graduate classes is the expose grad students to a topic that’s potentially useful to them. Thus, unlike undergraduate classes which have a specific set of course material that must be covered, grad courses that are not required are not limited by this. Material Free-for-All – Because there’s no defined material (this isn’t a required course), I’m basically free to choose what I lecture about. This, I find is totally awesome. As I said previously, I have 5 different engineering disciplines sitting in my class. And since my course is a “engineering design” type of course, setting aside part of the lecture to do collaborative brainstorming on projects that may be outside of my wheelhouse is great. For instance, my aforementioned bio-medical student may have a research challenge that we can collectively attack, which will expose all of the students to problems in that area, assist the bio-med student with their research challenge, and free me up for having to do too much planning. I also think this can be good for showing how engineering problems are tackled in a real research environment, something that’s not a major focus of some undergraduate programs. All in all, I’m pretty excited about being able to teach this course because I think the students are interested even though I’ve covered the driest topics during the first week to get them over with. Those topics do set the tone for the course but some of that material is like trolling through the Sahara. I’ll check back in during the semester to let you know how it goes with the better material. What about you? Did you find any difference between classes at the Grad and UG level that were taught by the same prof ? If you are teaching at both levels, do you find you have a different style for both? Wait, so you received a number of reviews all indicating the same potential problem in your teaching style, and you have no interest in correcting it or even determining why? No, I think you’re taking that out of context. Basically, I came off as a hardass during the first few weeks of the semester so the students wouldn’t think I was a pushover and that the class was going to be easy. They, I guess, took that to mean I wasn’t approachable. However, I spent more time in the lab with them than any other prof that has taught the class, answered emails at all hours of the night, and never turned away a student from my door even when I was uber busy. So I know the “why” part of the evaluation (being a hardass in the first few weeks) but I don’t think that translates to unapproachable. I definitely cursed, sweated, and brawled my way through some of the work in a few grad classes but I was able to recognize their value in the end. The professors ended to like teaching grad level and non-required undergrad classes more from what I could tell. Having the freedom to teach as they pleased with students who were, in most cases, really interested in the material improved the classes for them in my opinion. It depends on the grad class. I assume there are fundamental graduate classes that are important wherein the basics must be taught that don’t get taught at the undergraduate level. 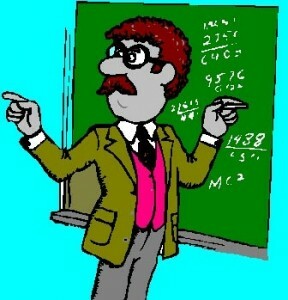 For example, most UG places have a DSP class, however, at the UG level you won’t learn adaptive algorithms such as LMS. I think that in those classes, rigor is still important, because you are laying a foundation. Graduate classes that build upon this can be more open ended and therefor cater towards each students research area. I remember starting out in grad school without a firm understanding of the background math, or for that matter an intuition of how things work, and getting very frustrated reading papers that assume all this prior knowledge. I think classes really help there. Not to belabor the point, but in my experience being unapproachable has less to do with whether questions are answered than how they are answered. I had a boss who could be incredibly condescending, even to people who clearly had a better grasp of the subject than him. (It was really quite astounding.) That, and he tended to pout or lash out when told bad news. For the life of him, he couldn’t figure out why no one came to ask him questions. “I’m here to help,” he would say. I’ve also had teachers who were too busy telling their students that, “see, this really is easy” or “it’s common sense” to even stop and really hear what the students were trying to say. The teachers who best manage to convey the material are the ones who foster a connection with the students. That said, good luck in this career path.